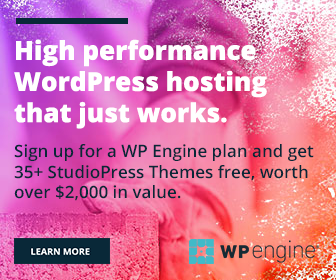 Millions of websites run on WordPress. The platform is highly flexible and can be used to host any kind of site. That’s why many major news portals, brands, blogs, and celebrities using WP as their Content Management System (CMS) or blogging platform. Security is the major factor that will negatively affect your blog. We need a proper security solution to secure an entire site from the cybercriminals. It will safeguard our business, automatically blocks hacking attempts and alert you when something strange happens on your blog. In this article, we’ll guide you on how to secure your WordPress website or blog in less than 5 minutes. We all have the habit of using spouse name, phone number, vehicle number as passwords. There are several people who set comparatively simple passwords like 1234, 9876….. which are easier to guess and doesn’t require any hacking knowledge to break the account. Now WordPress is not allowing users to choose own password and it will automatically generate a high secure alphanumeric password for each user. So password strength is no more a matter for you, but don’t forget to update your password at frequent intervals. Hackers try to log into your blog with probable usernames. Admin is one of them. If your blog contains an account with ‘Admin’ username, change it to something else. www.yourwebsite.com/wp-login is the default login page of every WordPress site. So others can easily locate your login page and test various username, password combinations. Install a WordPress security plugin, rename your login page and make it difficult for the criminals to locate your login screen. Most of the hacking attempts are carried out by bots, designed specifically for this purpose. They will enter several login combinations to capture your website. Block them by adding CAPTCHA fields on your registration, login and lost password pages. The security plugins let you do so. Hackers try to compromise sites via brute force login attacks. They will make repeated login attempts until they get the correct password. Enable login lockdown feature of your security plugin to limit maximum login attempts and lockout time length. You can make use of a dedicated login lockdown plugin or All In One WP Security & Firewall like security plugins to activate all these functions. Cybercriminals can inject malicious code into your website via theme or plugin files. Scan your file system at proper intervals to detect file changes including addition and deletion of files. Schedule the scan and view the results. If any suspicious activities found, consider removing the related theme or plugin. Enable firewall protection for your blog. It will protect your htaccess and wp-config files by denying access to it. Backup is the most essential part of a website. Fix a schedule for your backup and automatically save files in the cloud or local storage. It will help you restore the contents with a single click if the site damaged in any way.